“Picking” is a relative term. I actually had to cut it off the plant with a knife. 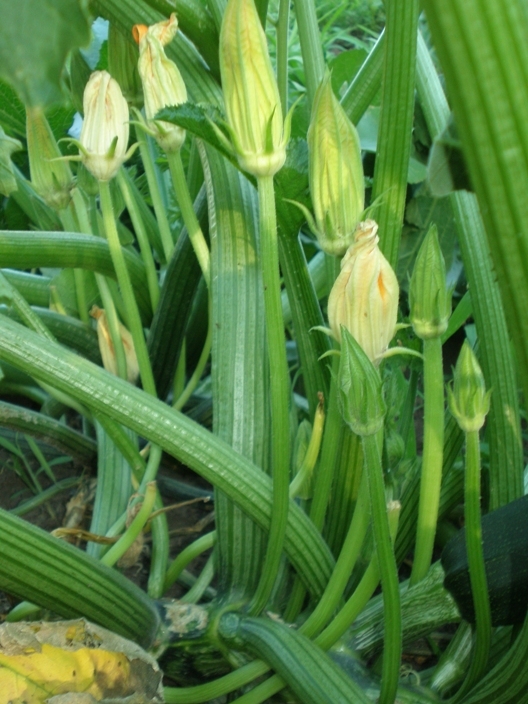 Zucchini plants have both male and female flowers. You need both kinds in order to get fruit. Both types of flowers have bright yellow blooms. The way to tell the difference is the stems. The male flowers are on long skinny stems and they sit up high. 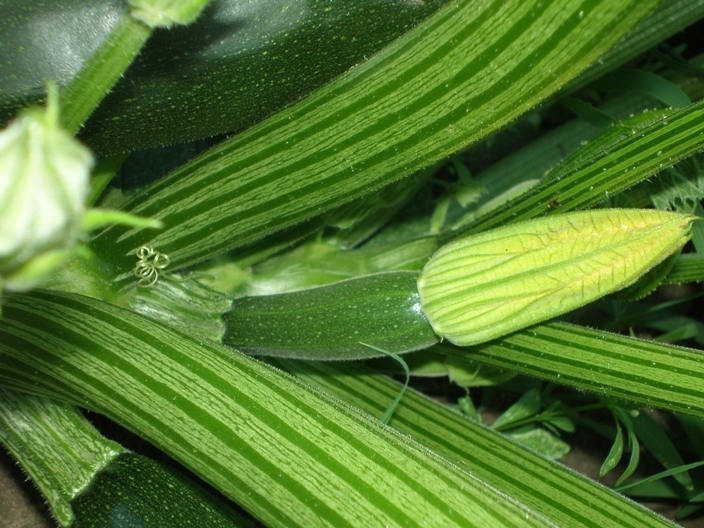 The female flowers have thicker stems and are closer to the heart of the plant. 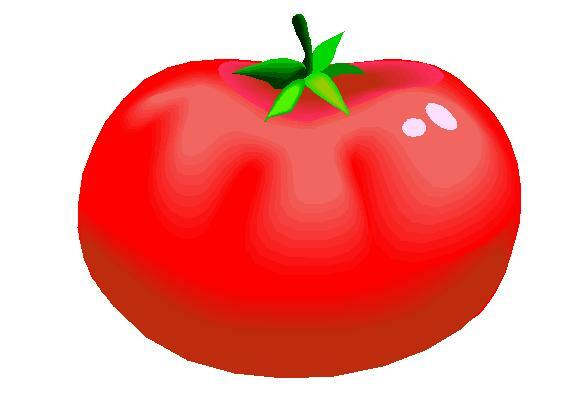 The female flowers are the ones that produce the actual fruit. 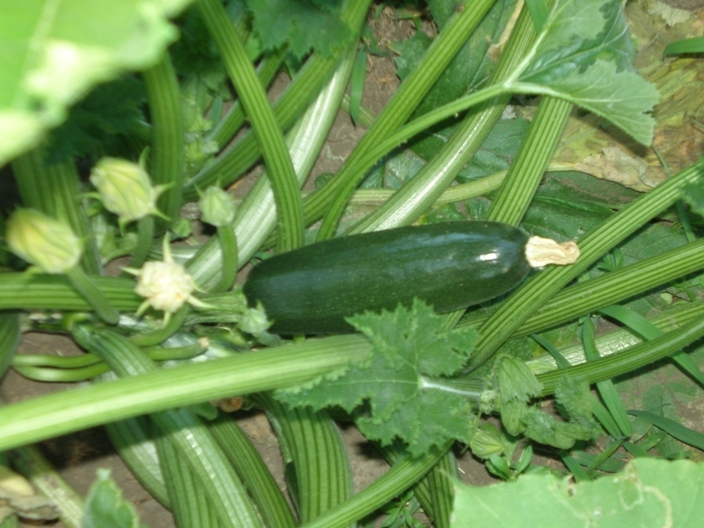 The zucchini I picked was about 6 inches long and it was perfect! 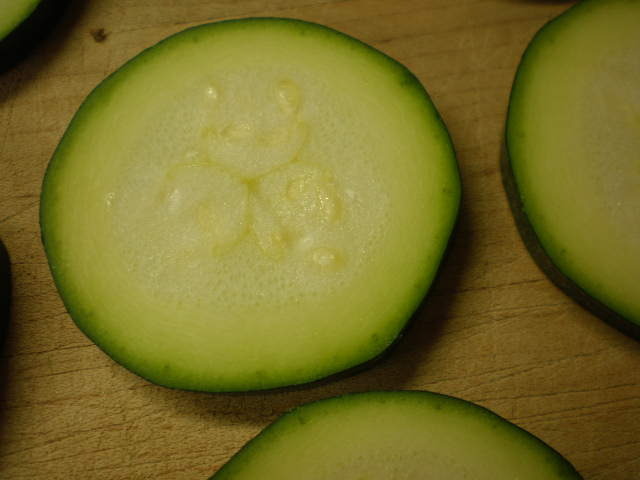 Zucchinis do not taste as good once they grow too large. I could tell this one was good because the seeds inside weren’t very developed. I cooked them up my favorite way. Sauteed (or fried, whatever the correct term is) in olive oil with toasted walnuts.